This letter was written by Cyrus Marble Cummings (1833-1914), the son of Nichols Cummings (1788-1863) and Amelia Gould (1794-1885) of Stockbridge, Madison County, New York. Cyrus doesn’t say which of his brothers he addressed this letter but he mentions his sister, Electa Ann Cummings (1835-Aft1900). In 1868, Cyrus married Caroline Tidd LaMunion (1841-1918) and farmed in Burr Oak, St. Joseph County, Michigan for a few years before returning to his former residence of Stockbridge, Madison County, New York. 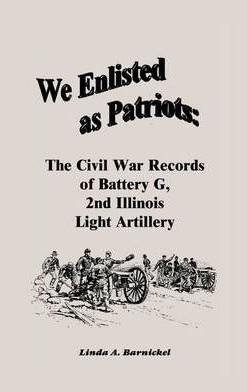 Cyrus enlisted on 1 September 1861 in the DeKalb Horse Artillery — later renamed Battery G, 2nd Illinois Light Artillery — and served until 5 October 1864 (3 years, 1 month, 4 days). This battery’s first camp was on the old fairgrounds at DeKalb. In October, 1861, the Battery was sent to Camp Butler — a camp of instruction — at Springfield, where the battery was united with three others into a battalion with Captain Stolbrand appointed as major. The unit saw service in Kentucky, Tennessee, Mississippi, Missouri and Alabama. I received a letter from you stating that you had received no answer to a letter containing an order — given by James Knox on the Bank of Vernon — to me.I received the letter. I let a man by the name of Brown take the order together with $20.00 in gold, and took his own, and his son’s note, for the same, at ten percent interest. He took the note to Rockford to a bank to see if it was good. When I came away, they has received no answer from it, but I assured them that it would be all right. I guess it is all straight as I have heard nothing to the contrary. Let me advise you in regard to one thing [and] that is this: If you know when you are well off, do not think of going into the army. Don’t enlist. Don’t tell any of your neighbors what I think about it. It is none of their business. Let them enlist if they wish to do so; don’t discourage them. I have enlisted as a private soldier in the Federal Army. It is a slave’s life, the best way you can fix it. I can’t say that I like it, but I must put up with it. I shall try to enjoy myself the best I can. Tell mother, Electa Ann, and the rest of our folks not to worry about me. I miss mother’s buttery often, but no matter. Soldiers will spend one half of their wages buying fruit, pies, ginger bread &c. Two-thirds of them spend all their money and want to borrow more. Our Captain brings his men right up to the scratch. It is hard work to drill, but the worst place is to go to the hospital as nurse. I have been once and staid 24 hours. The nurses are all men. The sick don’t begin to have the care that they would at home. It is all a humbug — it is a hard place. I hope I shan’t be sick enough to have to be taken there. Though I am not very well now, & haven’t been very tough since last winter. If I had been at home in N. York, I don’t think I should have worked much this past summer, but necessity rather drove me to it. I have kept up pretty good spirits and put the best side out. My right lung has troubled me some all summer, but has been getting better all the time until the wet, wet weather came on. It is not quite so well now. My left arm above the lebow has troubled me more or less all summer. Sometimes it has been swollen considerably & quite sore. I think I must have strained it when I first commenced work in the spring. If I hadn’t come into the Army, I think I should have had to stop using it for awhile & let it rest up. So you see I am not at the present time an able-bodied man in reality. They will accept anybody in the army that has two legs & hasn’t had a breach &c. but get out! I don’t care! I don’t know but I’ll as leave work for Uncle Sam as some other men. When I get so disabled as to be of no more use to him, he will probably discharge me and then I will come home. P. S. In regard to buying land, I will say I don’t think it will be any higher at present until after the war at least. Perhaps I bought too soon, I don’t know. One wants to live west about a year before he thinks of buying any land. He doesn’t know what he wants at first. He will perhaps be homesick as ¾ of them are when they first come west. I don’t think a man will do any better west than he will east, to tell the truth about it. But it is well for everyone to come and see for himself and then he will be satisfied. I am well satisfied that a very poor man will do better east than here. A man wants at least $500.00 to do anything of any consequence unless he is very lucky & from that to 2 or 3,000 dollars — that is so. We don’t have a big crop here every year but it is a pleasant country to live in & a man with means enough will do first rate. If a man would do east as he has to west, he could get a good living. I must say for the pleasure of living, I had a little rather live in New York than here. The scenery is more romantic there than here & that suits me a little better (wood & water are not quite plenty enough here) but good friends will make a difference with one let him be where he will. I don’t think it makes much difference whether we live east or west — we can get a living in either place. All there is about it is what little time we live on earth. We want to live where we can enjoy ourselves best & the most of folks enjoy themselves best where they were born & brought up with their brothers, sisters, father & mother & old associates. No scenery on earth so dear as that of our childhood & no friends so dear as old & tried ones. Yours &c. — C. M. C.